Millions of Muslims begin their preparations much before the first day of Ramadan. This is the insight that inspired a campaign from luxury Italian automaker Maserati: the greatest journeys begin before they start. 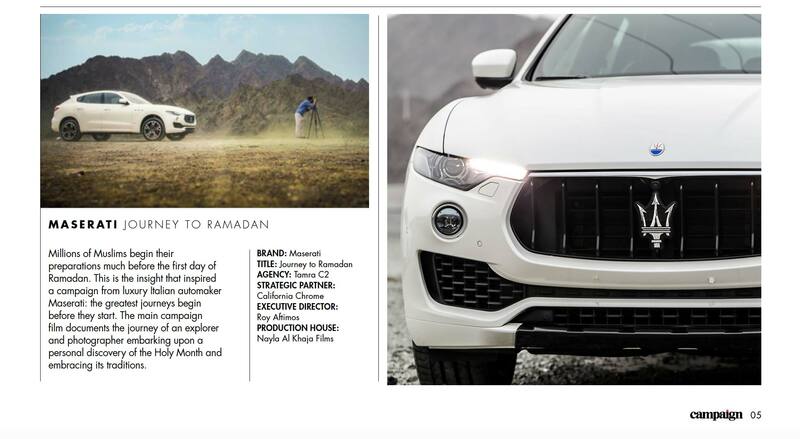 The main campaign film documents the journey of an explorer and photographer embarking upon a personal discovery of the Holy Month and embracing its traditions.